So, I got on some researching and found one that would deliver just about anywhere in Manila. Wouldn't it be nice if all the lovely stuff in the world we want can be delivered right to us without extra charge and on a timely manner. That was what I experienced with Dojo Dairy. They promptly replied and answered all my queries. 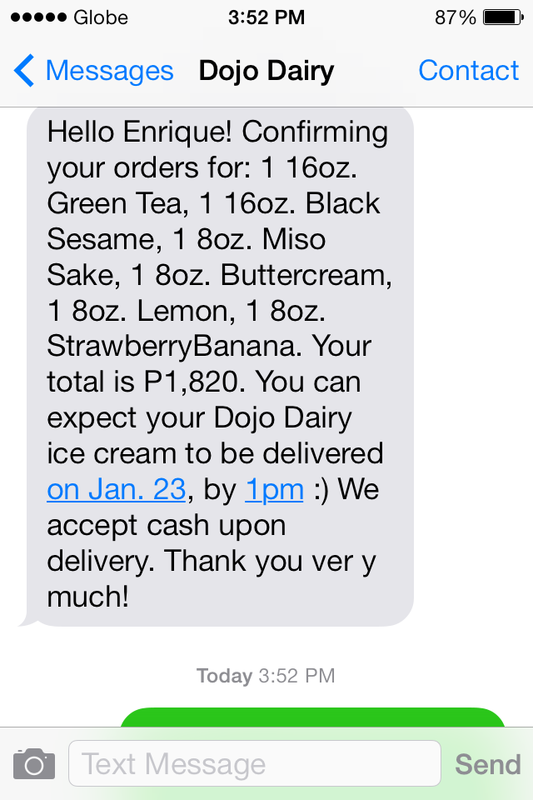 They were also true to their word and got my ice cream delivered just before 1pm. 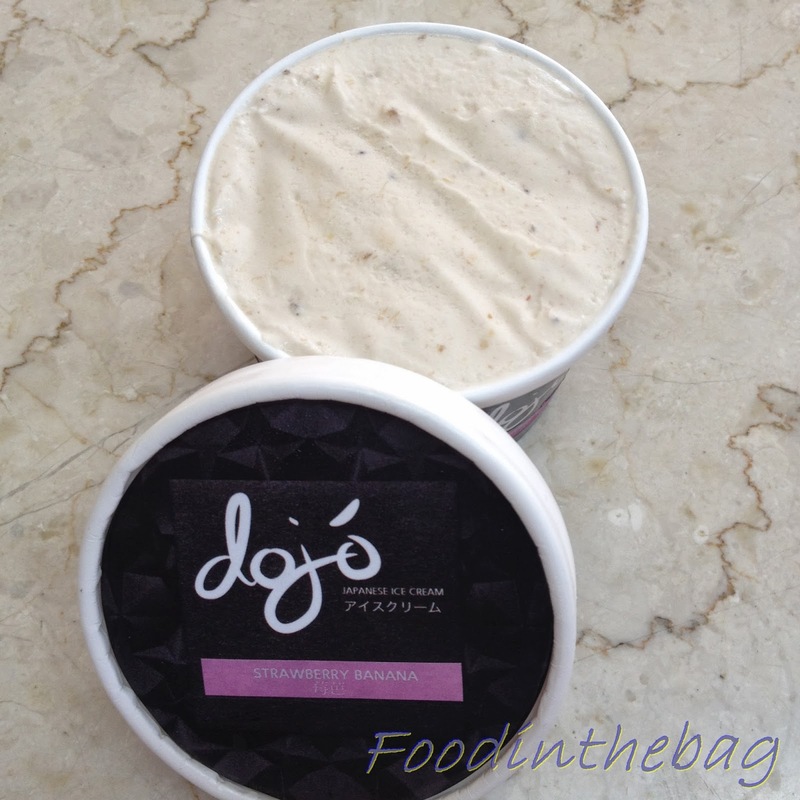 Dojo Dairy offers Japanese Ice cream made from Hokkaido Milk! 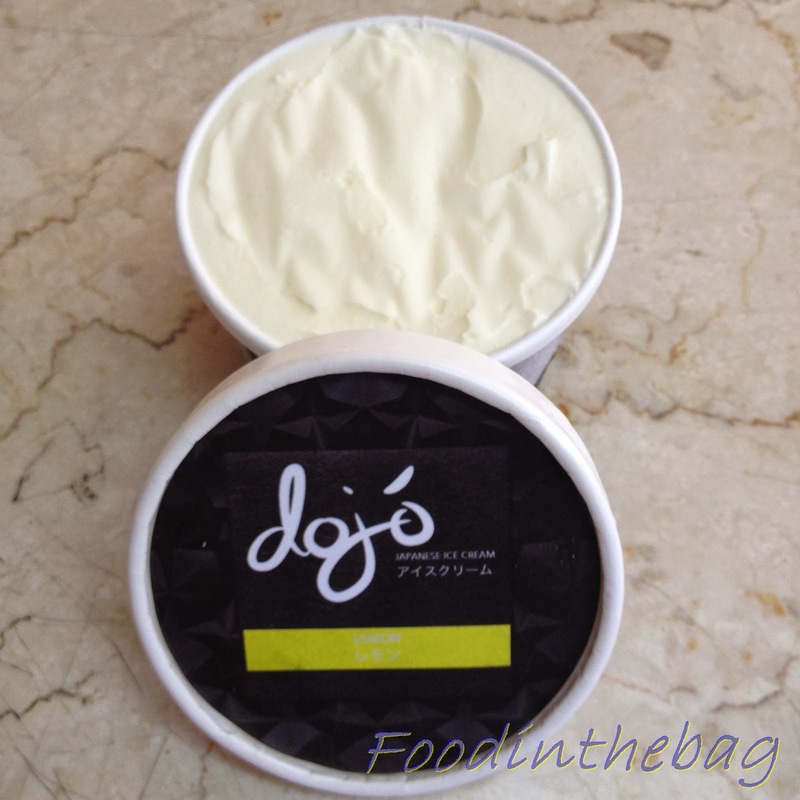 It is creamy and rich and no additives and emulsifiers. Yummy !!!!!! I got a lot of them... as you can see LOL! They offer 10 flavors and with reasonable prices for their caliber. For the kids at heart, the strawberry banana would definitely hit the spot. The banana and the strawberry definitely complimented one another. Kinda like a date on a cold summer night. LOL! On the otherhand, the miso sake is different. It commands a more mature audience. 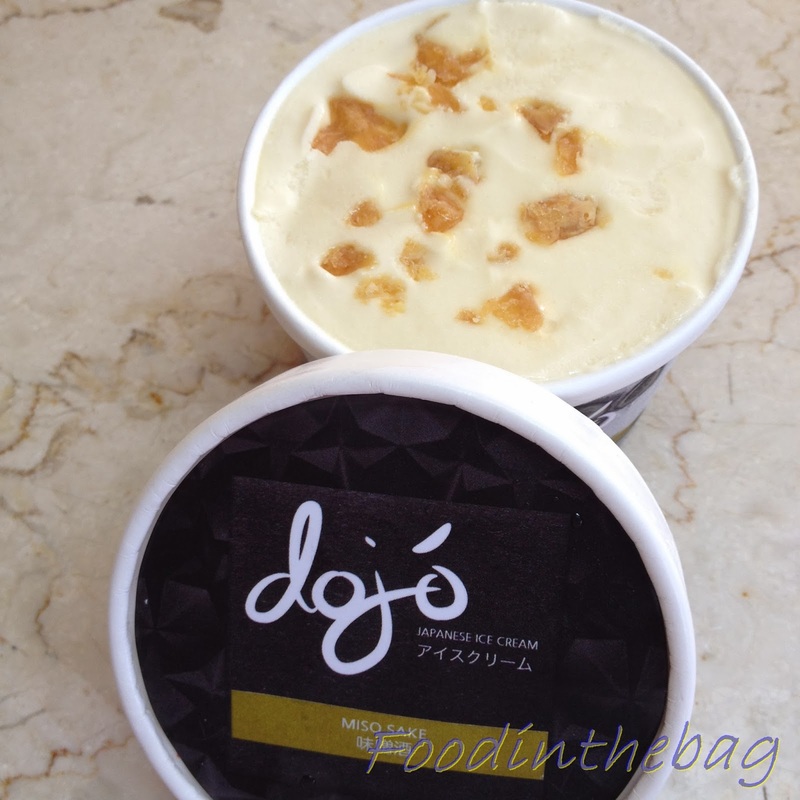 The salty flavor reminds me of salted caramel desserts but has a different angle to it. This definitely is an acquired taste. For an intermission to any meal, this lemon would definitely be the answer. 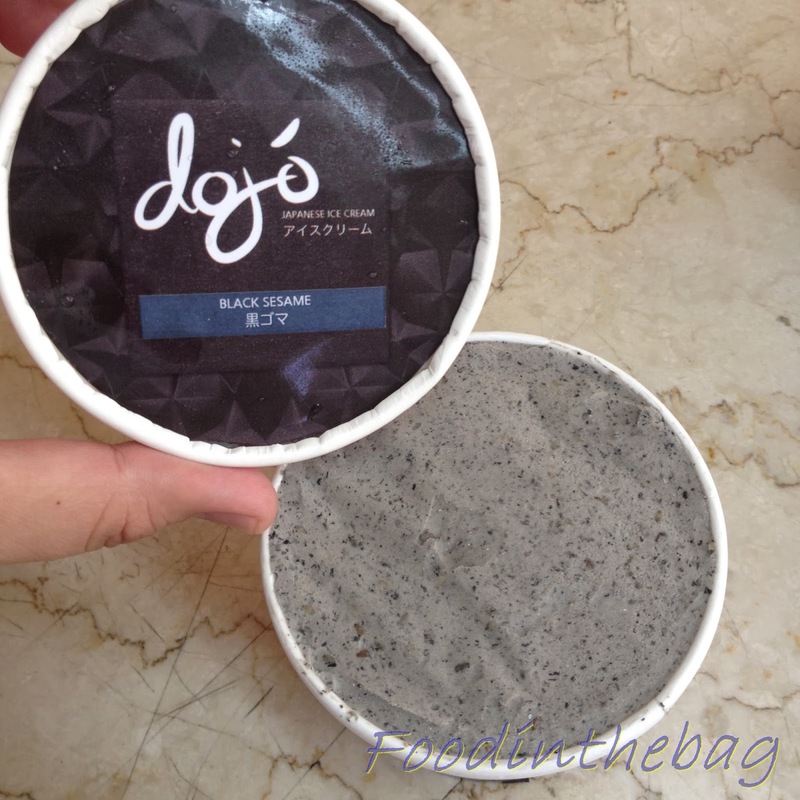 The black sesame and its straight up flavor. Next up would be the green tea! Since I love green tea. this is a no brainer!!!!!! 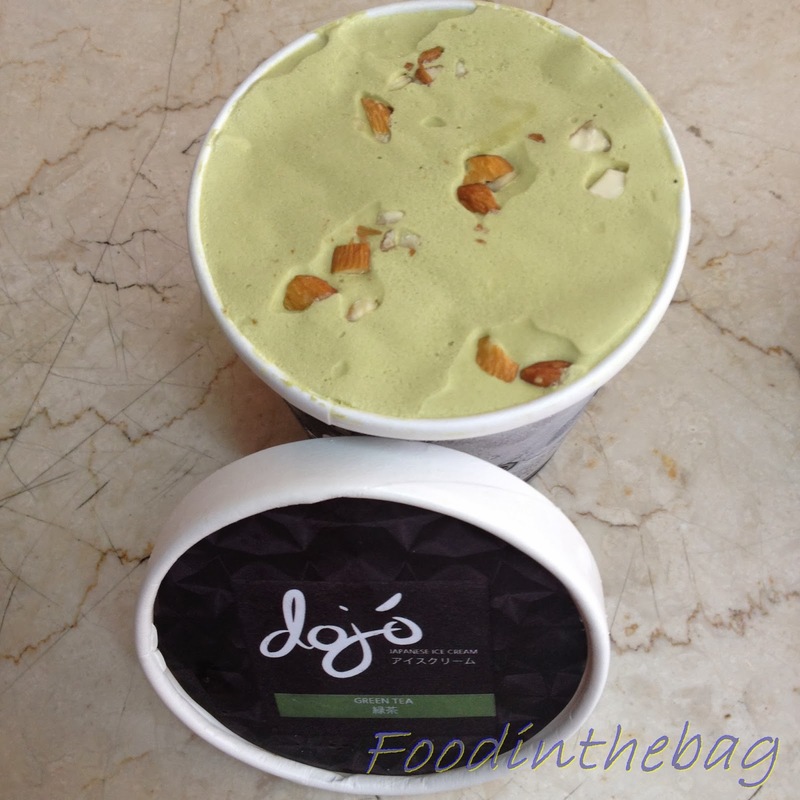 The matcha flavor was definitely there plus the addition of the nuts made it wonderful. The cream and the texture.. OMG!!! Pwede na pang tapat sa Green Tea latte sa starbucks LOL! I promise.. I will have some more... LOL! I sooooo love it!!!! If you noticed I ordered Buttercream too.. Wondering why it wasn't here? Well the monster in persona of my little bro's tummy ate it even before I got to try it.. DAMN!!!! must have some moreeeeeee!!!! 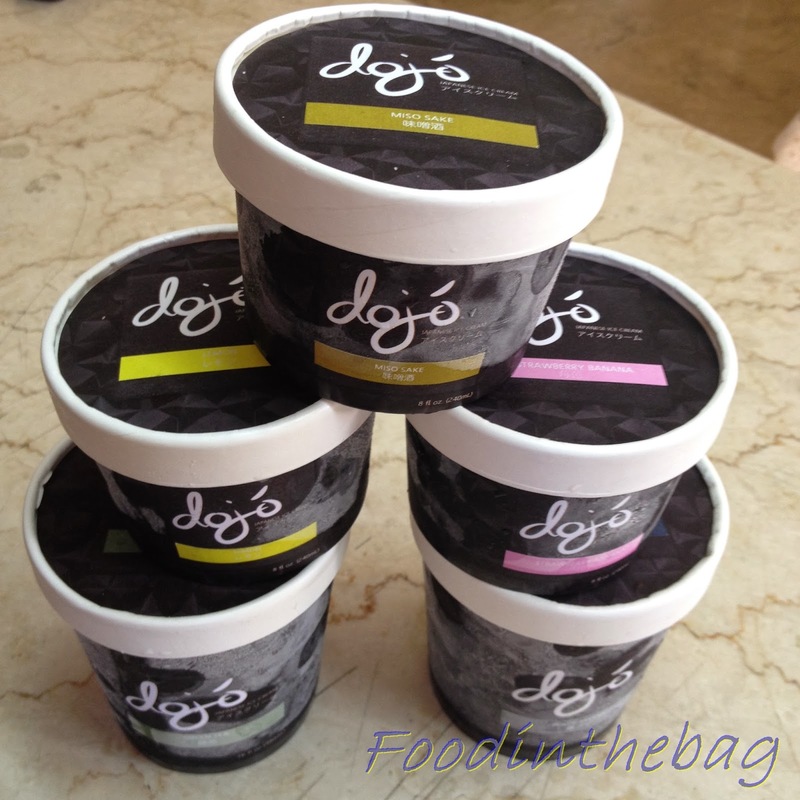 Price List: 8oz 230Php, 16oz (pint) 450Php, and 32oz (quart) 850Php. For orders less than 1000Php, there is an additional delivery charge. 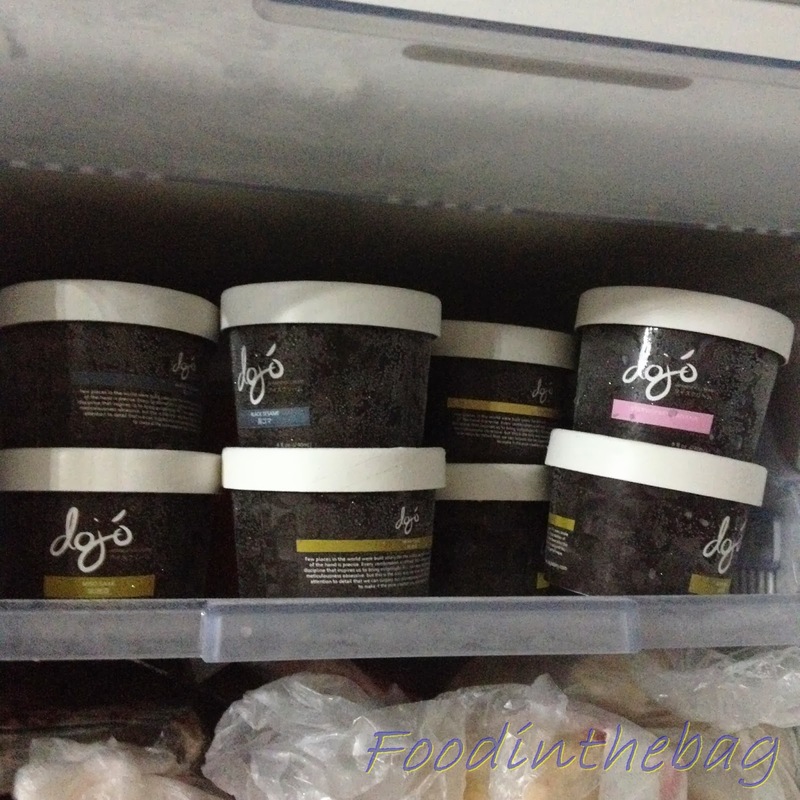 1000Php and up = free delivery. Available also in Little Tokyo, Makati. Disclaimer: Paid for the ice cream; wrote this based on my own opinion. 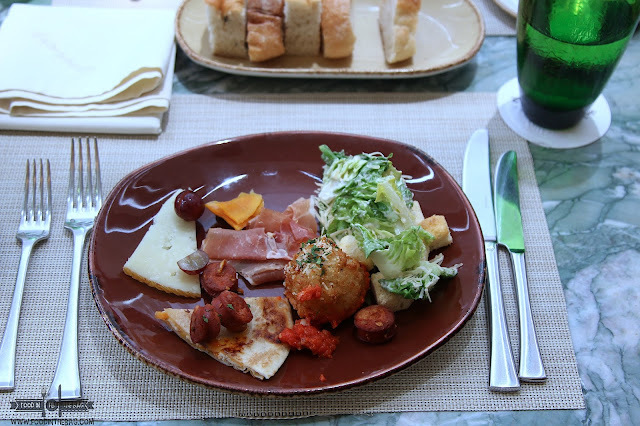 Ganda kasi ang post mo UNBIASED like some "food bloggers" kuno who write rave reviews (Oh! I'm in heaven! blah blah blah) just because they got the ice cream for FREE. I'm happy you really SPEND for your object of review. Sometimes it saddens me that there's no ETHICS in food blogging in this country.